The government responds to Meretz MK's petition, indicating that work on the train is permitted for the time being. 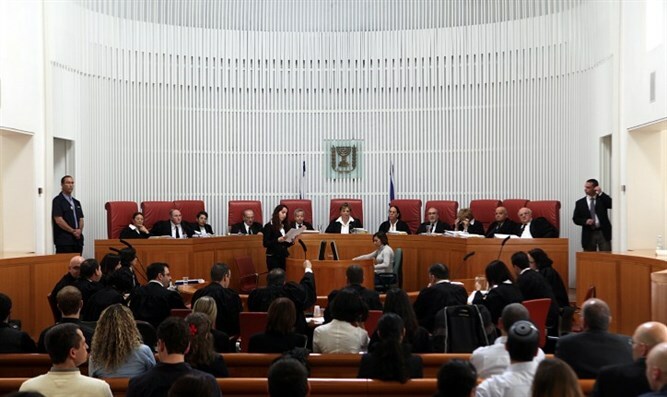 The government gave the Supreme Court its response to the petition of MK Zehava Galon (Meretz) against the decision to cancel infrastructure work on Israel Railways on Shabbat. In its response, the government said that the petition needs to be summarily rejected since it deals completely with work executed at the end of last week; therefore, the petition is dealing with a theoretical issue which has not actually happened since the petition. Further, the government added that Israel Railways has a special leniency for the month of September to employ workers on Shabbat. According to the guidelines of the leniency, Israel Railways can decide on which Saturdays to implement the leniency, and how it will be implemented. The government emphasized that the leniency has not been cancelled or suspended and is still active, therefore Israel Railways is allowed to use it. It was also noted that any attempts to cancel or suspend the leniency will be subject to the approval of Minister of Labor Haim Katz, or whomever Katz appoints to deal with the matter. In addition, meetings are expected to take place regarding the issue of work on the railway on Shabbat, including a meeting set for today which is to see the participation of officials from the ministry of transportation, ministry of labor and welfare, and railway management.